One of the things I find difficult sometimes (and I’m sure you guys do too) is trying to explain to a non blogger just why a company will send you a product. I mean, why should a company send you an item to talk about it? The new advert from Chrome does go some way to explain that. It isn’t going to make you cry (like that baby one) or creep you out (like the new one about a relationship through Google products) but it does make me smile. Google Chrome, The Cambridge Satchel Company from Matt Houghton on Vimeo. Because see that link underneath (well, when you watch it)? You know who that is, don’t you? 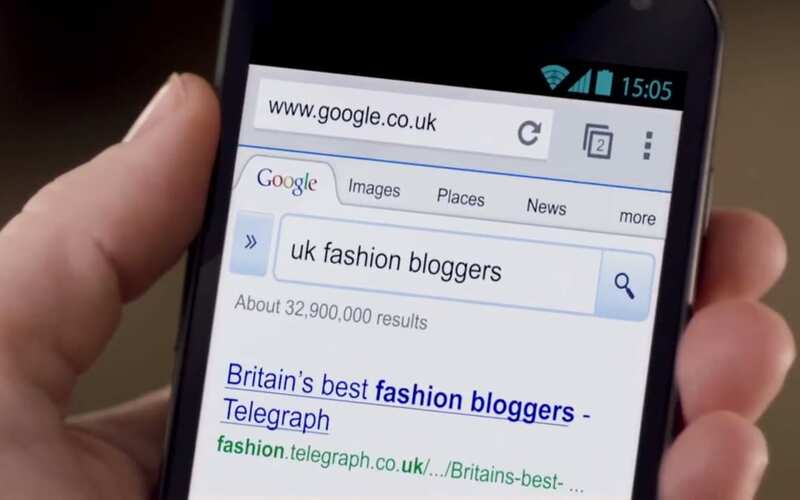 Its nice to see blogging, and especially fashion blogging (and even more so – UK blogs! ), being shown on TV and showing what we have the power to do. Thanks for posting this Hayley, I wouldn’t have seen it otherwise, and it made me smile too :) All the adverts I see over here are for whitening skin!! p.s Love the #wkendbloglove Did one this weekend, but will get on it next weekend. I had no idea of the story behind the Cambridge Satchel Co. Love it!! Aaah I like this video. Hurray for the internet! Interesting video – I never knew that’s how the Cambridge Satchel Company came to be. Thanks for posting this! I keep hearing about it but don’t have a TV and kept forgetting to Google (hohoho) it. This is so cool. YEY JEN!